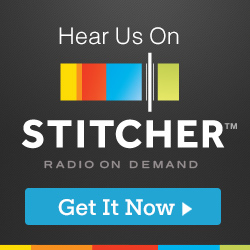 The Jacke Wilson Show – Subscribe on iTunes! One… one one… one one… It’s the Jacke Wilson Show! And now you can subscribe on iTunes. Every episode, downloaded to um… the device of your choice… um, it streams to ah… HEY LOOK. IT WORKS ON IPODS. PHONES. IPADS. COMPUTERS. ALL STUFF LIKE THAT. WHATEVER YOU OWN AND USE. Ahem. Some of us are not always up on, say, technology. But we try. We make do, as my mother said as she wiped my nose with a leaf after a cataclysmic sneeze disrupted my walk to kindergarten. And you will hear the lost scenes of Macbeth, the Fall OFF the House of Usher, the new Michael Jackson play (starring Bryan Cranston), lusty lizards, Tolstoy and his horse, Jacke Wilson Objects galore, philosophers galore, great books galore, morning thoughts, late-night thoughts, prehistoric fish, Tibetan rainbows… it’s a journey, people. We can take it together. And I promise I won’t make myself laugh so much in the future! I’m getting more professional, episode by episode. SUBSCRIBE TO THE JACKE WILSON SHOW IN ITUNES. Next > Top Ten Writers Laughing: The Very Best!